Dolphin Swim Club offers more than just swim lessons. To enhance the communities we serve, we also host a wide range of public events that promote children’s wellness. Our goal is to become an accessible gathering place for families from all walks of life. Membership or enrollment in classes is not required to participate in any of the events listed below. Open and lap swim times, which are only available at our Crystal Lake and Loves Park locations, are also open to the public. Please be sure to like us on Facebook in order to receive the most up-to-date information on our events. Looking for a fun and warm place to host your next party or event? Let Dolphin Swim Club do the work for you! From set up to clean up and everything in between, we take care of every last detail so you can just relax and enjoy. Each Dolphin Swim Club party or event is staffed by our fun and outgoing staff members – a dedicated host to attend to your needs and a lifeguard to make sure your guest are safe while in the pool. Drop off your kids with the best and most affordable babysitter in town, Dolphin Swim Club! You can enjoy a night off knowing your child is having fun in a safe, familiar environment. DSC will provide multiple staff members to entertain your little ones with games, crafts, and even dinner. Parent night out events are appropriate for ages 6-12. $29 a child must be paid at time of registration. No refunds or make ups for missed event. Registration closes 24 hours before event. Turn two feet into one mermaid tail at Dolphin Swim Club’s Mermaid University! Children will learn to float, twirl, spin, and swim safely while living out their mermaid dreams! 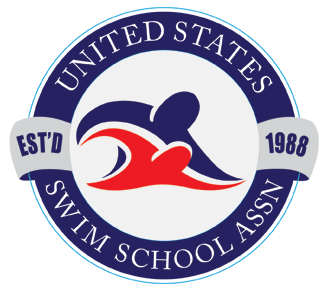 Sprites; beginning swimmers ages 4-10 with a parent or adult in the water with them. Classes run 1x a month, you can sign up for as many sessions as you like! Each class was $49 NOW $30 for limited time. 1 adult will swim with their Sprite level child for free. Mermaid tails are required and not included in the class fee. Finis and Fin Fun tails and other mermaid gear is available in our shop. $10 off the purchase of skirts/fins when you sign up for a camp! There are no refunds on missed classes. Please call 24 hours in advance to reschedule a session. Anyone who completes 4 classes will become mermaid certified! They will receive a bracelet that allows them 5 free admissions to open swim and the ability to wear the fins in our pools. Fins are only allowed in the open swim if they are mermaid certified. Sign up early to guarantee your preferred camp weeks. Each Camp runs for 5 consecutive days. Sign up for one week or the whole summer, the choice is up to you! Camps are available for kids aged 2 and up at all skill levels! Beginning and intermediate swim camps have a maximum of 3-4 children per instructor. Advanced stroke clinics are available for older swimmers that can swim all 4 competitive strokes the distance of the pool. Level descriptions are available under the level tab. If you have any questions about proper placement for your child, Crystal Lake area families can call us at (847)854-1300 for personalized assistance. For your convenience, online registration is also available. Camp fees are not refundable, and there are no credits issued for missed lessons. There is a $35 annual family facility fee due upon registration for new members. All pool users are required to pay an annual facility fee. Membership or enrollment in classes, however, is not required to purchase passes for any of the swim events listed in the calendars below. Turn two feet into one mermaid tail at Dolphin Swim Club’s Mermaid University! You will learn to float, twirl, spin, and swim safely while living out their mermaid and merman dreams! Your merpod leader will play games, lead activities, guide formations, and create photo opportunities! Whether you want to become a mermaid or just get a core-strengthening workout, Mermaid University is a dream come true! Enjoy life in the merpod during our Mermaid Only Open Swim sessions! Swim, meet other merpeople, and enjoy the warm salt water at your own pace. Please register on our website or by contacting our front desk. Registration is required for Mermaid University and strongly suggested for open swim. Space is limited. Limited beginner rental fins are available, please reserve in advance to guarantee availability.